CameroonPostline.com — Cameroon’s ace musician, Prince Ndedi Eyango, has been elected the new Board Chairperson of Cameroon Musical Copyright Society (Societé Civile Camerounaise de l’Art Musical), SOCAM. He replaces Odile Ngaska who was forced to quit the company on increasing allegations of poor management and embezzlement. Eyango emerged victorious in the wee hours of Sunday, November 3, when he was elected during an extra-ordinary general assembly of SOCAM, presided at by the Minister of Arts and Culture, Ama Tutu Muna. The election, which brought together a multitude of musical artists from all parts of Cameroon, took place in the tripartite hall of the Yaounde Conference Centre. Candidates who headed lists at the election included Romeo Dika, Ateh Bazor, Parol Sosthène, Ndedi Eyango, Jean Marie Mbega and Moussa Haissam. Ahead of the election, the Minister had instructed that only a single ballot paper be used in order to stem electoral fraud such as vote buying. Following the outcome of the first round of voting, which many musicians admitted to The Post that it was free, fair and transparent; Ndedi Eyango had 202 votes, Romeo Dika 126, Moussa Haissam 113, Ateh Bazor 61, Jean Marie Mbega 15 and Parol Sosthène 10. In the face of the results where none of the candidates had an absolute majority, the electoral board headed by Prof. Jean Calvin Oyono Aba’a ordered for a second round. At this juncture, the various contestants went into deep negotiations and the four others decided to rally behind Eyango against Romeo Dika. With the handwriting visibly clear on the wall, Romeo Dika was forced to abandon the race and the second round of the election therefore did not take place. Romeo who mounted the rostrum and publicly congratulated Ndedi Eyango for the victory, according to observers, paid the price of having been part of the Odile Ngaska team that is now being accused of embezzling huge sums of money from the company. In a quick reaction to the press, Eyango thanked all those who took part in the election and promised to work with everybody for the interest of SOCAM. Meanwhile, in a statement prior to the highly contested election, Ama Tutu Muna, called on the artists to demonstrate diligence in their choice from amongst the six candidates that headed various lists. She also urged them not to allow their consciences to be bought, but cautioned that they (musicians) should rather vote usefully, bearing in mind that they are choosing people who are going to manage their rights as artists. She equally advised the team that would emerge victorious to stir the affairs of SOCAM with utmost responsibility. Prince Ndedi Eyango, who hails from Ngalmoa, a mountain village near Nkongsamba in the Mougo Division, Littoral Region, is the son of a pastor who grew up imbedded in [religious] music. 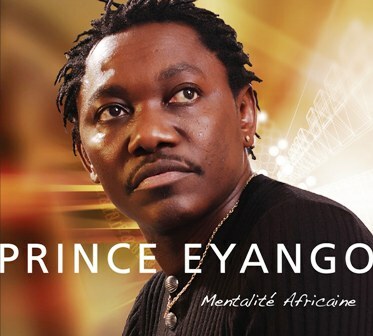 Prince Ndedi Eyango became a household name in 1985 when he hit the market with his famous album: “You Must Calculate.” The album was rated number one that year all over Africa. The artist, who relocated to the US from Paris in 1991, had told The Post’s Joe Dinga Pefok in an interview in 2004 that he moved to America with the prime objective to learn English language. He had narrated a story of how on a tour to Kenya, Zambia and Zimbabwe, he was forced to respond to questions from journalists at a press conference through an interpreter – a situation which he said was an embarrassment. In addition to the musical albums to his credit, Eyango is also engaged in producing youngsters. He is a successful producer who discovered artists such as Longué Longué, Jacky Kingué, Tanus Foe amongst others.